The electric garage door is by no means a luxury item but you may end up faced with so many associated costs that can become high because of the fact you do not know how to properly maintain your doors. All the garage owners that use these doors need to know what to do. It is not at all difficult to take care of high quality electric garage doors and the tips that we are about to mention will surely help you out. The electric garage door’s rollers, tracks and hinges need to be lubricated two times per year. If you do that, the possibility to end up with malfunctions or squeaks is lowered. In most situations noise will be produced because of the fact that there is contact between two metal parts, you have loose hardware or there is dirt that is dried out. If you have components that are dry, they can jam the garage door. Always lubricate the moving parts with lubes that are especially designed for moving metal parts and pivot points. If you notice loose screws or hinges, make sure that you tighten them. Disconnect the automatic opener system (examples here) after closing it. Remove it so that you can lift your door manually. If you are able to do this with minimal effort, the door is well-balanced. After you open the garage door, it has to remain level and fully open. Whenever you notice misalignments, distances that are not even between corners when you level with floors, talk to a technician. In the event that the electric garage door is under warranty, talk to the manufacturer for an inspection to be scheduled. The doors need to be cleaned different times per year. Use a sponge and mild soap in order to remove corrosive chemicals, grime and dirt. Chemicals and sediments that are built up can easily lead to corrosion and warping. That will make the door not operate properly. Also, make sure that you repaint the door once every few years because moisture needs to be kept out of areas that are made out of wood. If the door warped, it will be really difficult to close and open it. 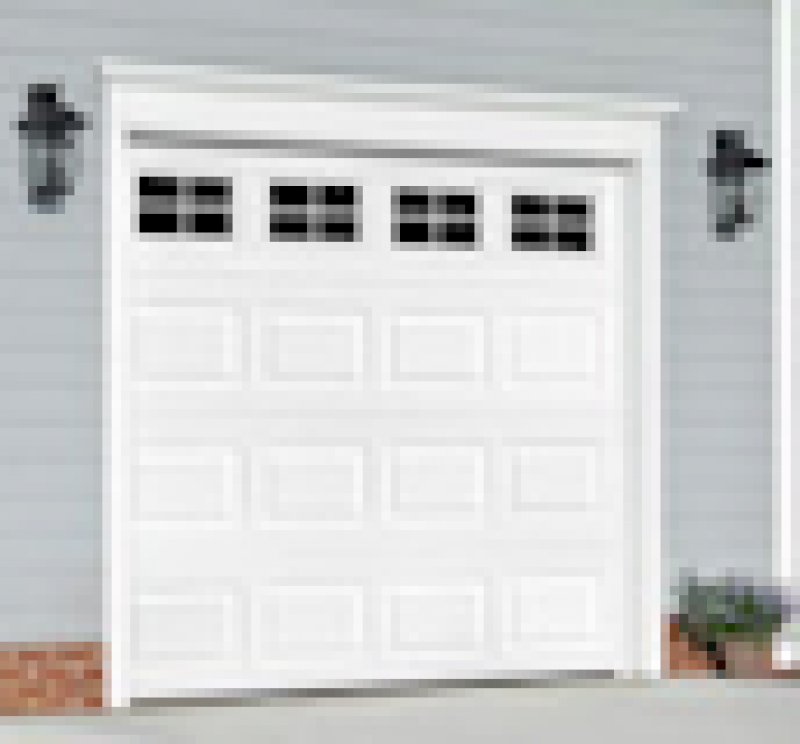 There are many electric garage doors that include automatic reverse functions so that property is not damaged in the event that something will obstruct the door while closing. In order to prevent entrapment, it is important that the reversing mechanism works correctly. You will also hear the term “garage door sensor” when describing the mechanism. In order to make sure that the sensor works properly, you have to regularly test it. Just put an obstruction like a chair and push your close button. When the door touches the chair, it has to back up. Take all the simple maintenance steps mentioned above and it is a guarantee you will spend less on costly electric garage door repairs in the future.